Detail of panel above entrance to dovecot, Mertoun House. 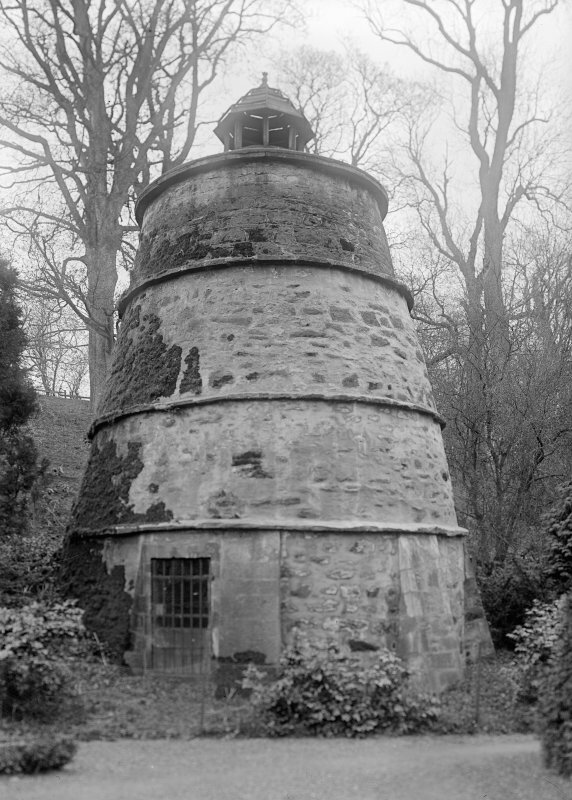 View of dovecot at Mertoun House. View of dovecot, Mertoun House. For Mertoun House see NT63SW 34.00. 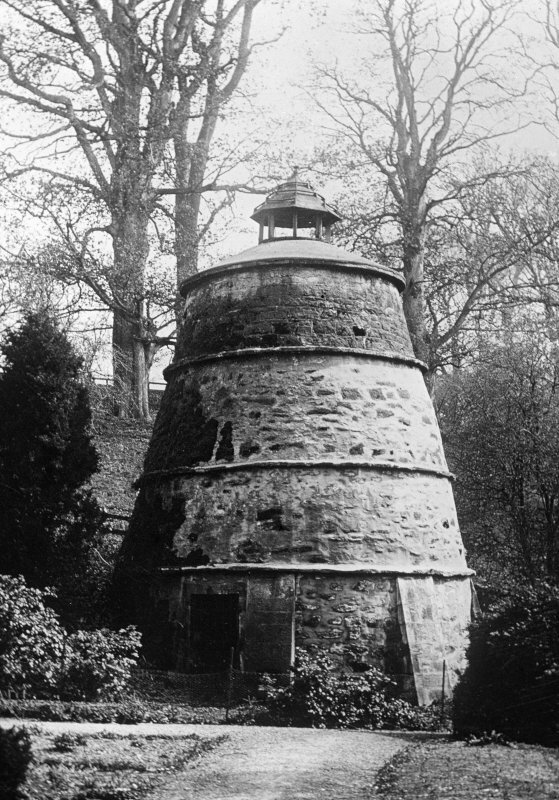 The old conical dovecot in the garden of Mertoun House is about 30ft high and 18ft in overall diameter. It is divided into four stages by string courses and has an aperture in the centre of the roof for pigeons. Modern buttresses have been placed against the basement to strengthen it. It is dated 1576 over the doorway. Said to be the oldest dated dovecot in Scotland. 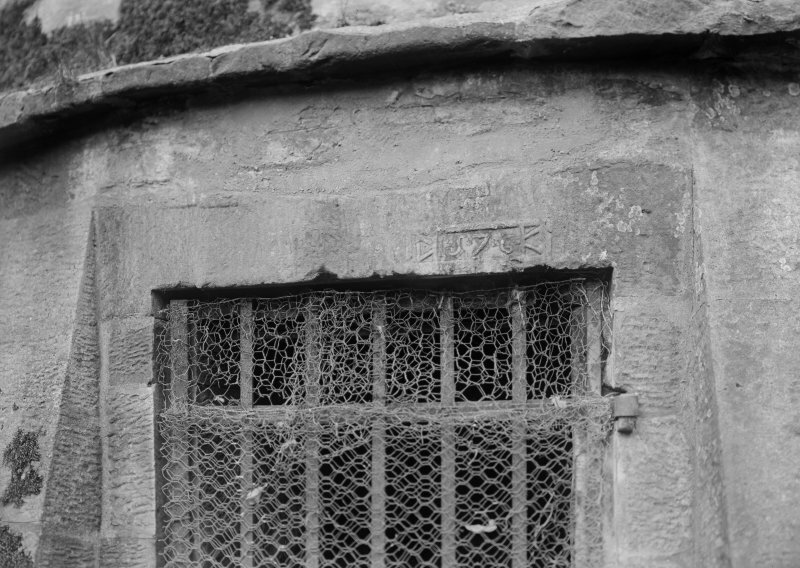 This dovecot is as described by the RCAHMS. Visited by OS (WDJ) 19 September 1962.